The Milwaukee, Wisconsin employment law attorney at Alan C. Olson & Associates, s.c. provides employee rights, discrimination law, and sexual harassment lawsuit legal services to clients in Milwaukee County, Milwaukee, Wisconsin metro area, Waukesha County, and the communities of New Berlin, Brookfield, Waukesha, Muskego, Mukwonago, Menomonee Falls, Wales, Franklin, Oak Creek, Mequon, Cedarburg, Cudahy, Fox Point, River Hills, Shorewood, West Bend, West Allis, Oconomowoc, Summit, Delafield, Elm Grove, and additional out-of-state locations such as Columbus, New York City, San Diego, and Atlanta. WHAT SETS US APART? Our lawyers know employment law — and what it takes to get results. We work hard. We love what we do. 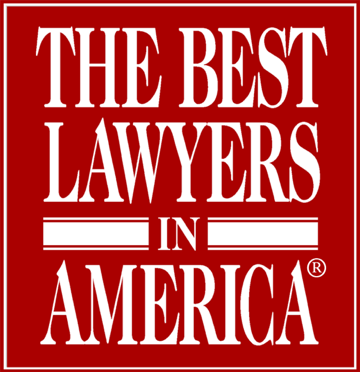 At the Wisconsin law firm of Alan C. Olson & Associates, we live up to our reputation. This is how clients describe our work: Smart. Passionate. Relentless. Results-oriented. That’s what you get when you work with our team. We’re people first, and attorneys second. Whether guiding you through an employment discrimination case, discussing disability benefits or assessing potential wage claim violations, we talk to you about your case in terms that make sense — terms a judge and jury can understand. Put Over 30 Years of Disability Law Experience On Your Side! We bargain from a position of strength. Our job is to convince your employer to change its beliefs and behavior (and open its checkbook) through argument instead of force. When we base our argument on principles of fairness, evidence and legal insights, we will likely succeed. If your employer will not be persuaded, however, a judge or jury will listen to reason and force your employer to pay wages and benefits to which you may be entitled. Our opponents understand that we will always bring them to court when necessary. To schedule a free initial consultation on your employment law claim, contact Alan C. Olson & Associates through this website or call our office at 888-843-1261 or 262-649-4861.